chibi Pokemon. . HD Wallpaper and background images in the Pokémon club tagged: pokémon chibi fanart. This Pokémon fan art contains anime, fumetti, manga, and cartoni animati. Wait, I thought I saw that Raichu somewhere before. Aww how cute chibies make anything look cute! It makes things so cute! 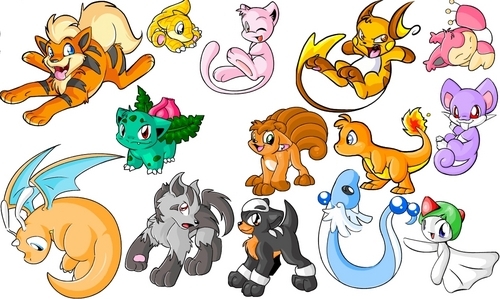 There is a MEW in that picture..........They should have done a Darkrai too, now THAT would be weird. Ralts is such a cutie pie! Aww...chibis are always so cute! Aww look at skitty! =^_^= Chibis make everything cute! !